On Nov 12, we explored Al Ain.. 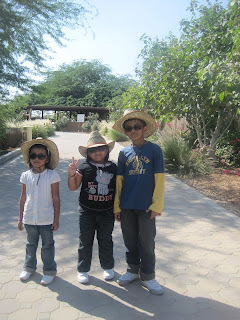 The place is in Abu Dhabi Emirate, about 150km from Dubai. We had lunch on the way, mkn Chicken & Mutton Briyani la mcm biasa. 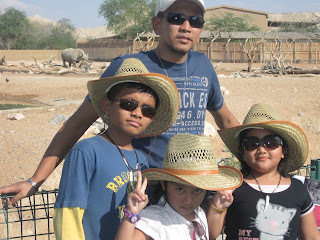 It took us some 1.5 hours to reach Al Ain. Dah ada GPS senang sikit cari tempat dia. First destination : Al Ain Wildlife Part & Resort. In a unique desert setting on the edge of Al Ain, a historic oasis settlement in the United Arab Emirates, the Al Ain Wildlife Park & Resort is a place for people to come and learn about arid land wildlife and conservation through vivid, first hand experience. 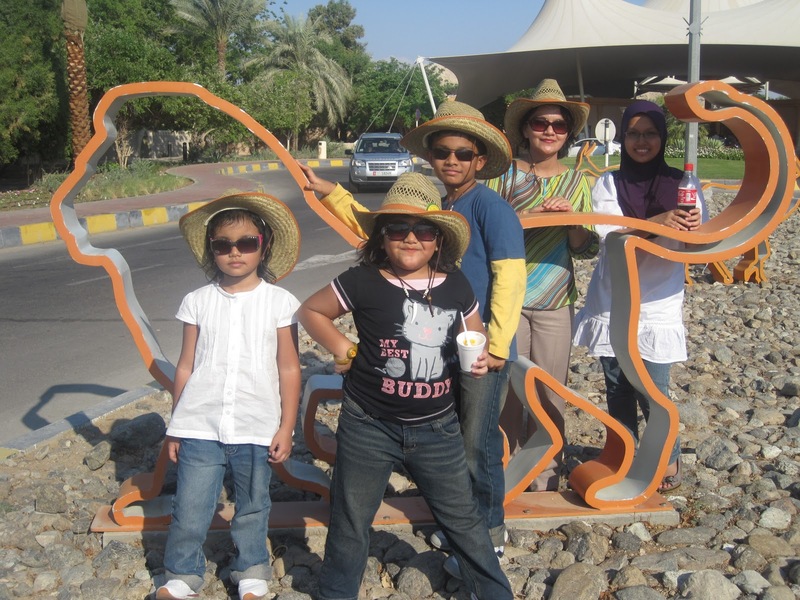 Macam kat San Diego Zoo kan?..! 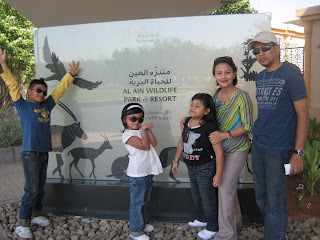 3DHS excited tengok all the animals..